Movies.com > Movie News > '300: Rise of an Empire' Moves from Summer to March 2014 -- What Should Replace It? '300: Rise of an Empire' Moves from Summer to March 2014 -- What Should Replace It? Just days after we predicted that 300: Rise of an Empire would be the most disappointing movie of the 2013 summer movie season, Warner Bros. has gone ahead and taken it out of contention by delaying it eight months. Okay, so the powers that be probably never saw our article, and wouldn't care whatsoever even if they had. Rather, we just picked up on Warner Bros.' hesitation with the film in the first place. After all, we were three months away from its August 2, 2013 release date and the studio still hadn't really started a marketing campaign for the movie. Sure, it had a poster and a handful of stills, but that was it. Even for a sequel with as much name recognition as 300, you've got to start with teaser trailers sooner than that. The film, directed by Noam Murro (Smart People), will now open on March 7, 2014. 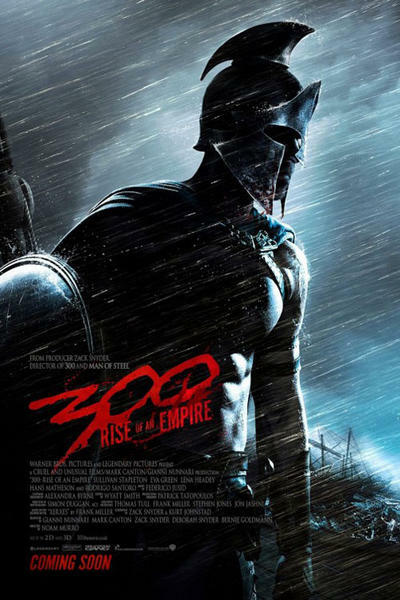 That's almost seven years to the day from Zack Snyder's 300, which the studio is taking as a good sign, declaring, "Moving 300: Rise of an Empire to March 7 continues in the tradition of the first 300, and kicks off the spring moviegoing season in epic style. The film is on track to become all that audiences have come to expect from the franchise." That last little bit, however, is a bit disconcerting. It's "on track to become" could imply that the movie still needs plenty of work. And if that's the case, the studio is not slipping the August release date to stick with tradition, it's because, as with Paramount and G.I. Joe: Retaliation, it knows its movie needs fixing. 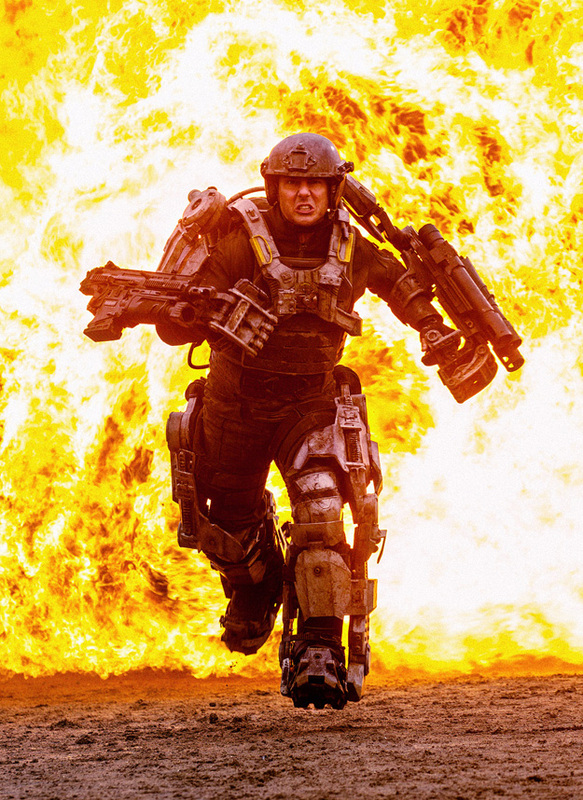 Whatever the case, the studio has in turn moved the Tom Cruise-led All You Need Is Kill from March 7, 2014 to June 6, 2014-- which is a bit of an upgrade. Apparently Warner Bros. got a good amount of confidence in the sci-fi action film from Mr. & Mrs. Smith director Doug Liman, and it would rather see it perform in blockbuster season than in early spring. So what's going to happen to Rise of an Empire's original August 2, 2013 date? Right now the only major movie opening on that date is the Denzel Washington/Mark Wahlberg action comedy 2 Guns, so we wouldn't be entirely surprised if another studio shuffled things around a bit. Might Percy Jackson: Sea of Monsters move up a week to give itself some distance from Elysium? It's unlikely The World's End will shift up, even though it'll already be open in the U.K. on August 2 -- that'd give Universal two big movies on the same day (it owns The World's End distributor, Focus Features).